Umuahia (Nigeria) (AFP) - Gabriel Ukuwagi was only 14 when he joined the Biafran army in 1967 to fight against Nigeria in a combat that was a foregone conclusion. "They had jet fighters, we had machetes," he recalled. The rebel province in southeast Nigeria declared independence on May 30, 1967, triggering a bitter civil war that would leave more than one million dead, most of them from famine and disease. The head of Nigeria's military government, General Yakubu Gowon, vowed to crush the secessionists within three months and imposed a ruthless blockade. In the end it would take him nearly three years to achieve his aim: the enemy would prove tough opponents for the federal troops, despite being outnumbered and under-equipped. Many preferred to die rather than surrender. The Igbo people, who are in the majority in the southeast, were traders, civil servants, doctors, engineers. 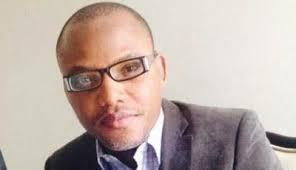 Biafra gave them a new vocation: fighter. The first bombardment of the federal army and the sight of "shredded bodies" and women crying made up Ukuwagi's mind. He left for the front with thousands of other boys hardly older than him. "I never had a weapon in my hands. I had to learn from one day to the next," Ukuwagi, who is now a grandfather, recalled with a smile. They had no inkling that the worst was yet to come. The blockade prevented the fledgling nation from acquiring arms and food. Thousands starved to death each day. Photographs of children with bulging eyes and skeletal bodies shocked the world, decades before the same images from famine in Ethiopia led to Live Aid. Fifty years on, a handful of civil war veterans still meet in the shade of a mango tree to sing the anthem of what was once their country: "The Land of the Rising Sun." It's also the occasion to remember their victories and disappointments. "It was an ugly experience," said major Ugboaja Onyemauchechukwu. Now in his 70s, the proud former soldier lost the use of one arm from shrapnel and has undergone several operations. But he says he has "no regrets". "At the beginning, most of weapons we used were captured from (federal troops)," he said. Cut off from everything, the short-lived republic became resourceful. It created its own money, the Biafran pound, and made its own weapons. Biafrans needed to be creative to hold out. Lorries were fitted with rusty sheets of metal to make armoured cars; small, two-seater tourist planes were reconfigured to drop bombs. A research and production department was created, made up of engineers and scientists who made innovative home-made weapons. They included mines, rifles, munitions, grenades and supposedly armoured vehicles that were dubbed "red devils", which are still on display in the war museum in Umuahia. But the difference in firepower was too great. Nigeria, backed by the Soviet Union and Britain, won territory every day. General Emeka Odumegwu Ojukwu, the head of the Biafran forces, had to move his headquarters twice, first from the capital, Enugu, to Umuahia, then to Owerri. At the end of 1969, Biafra, secretly backed by France and a handful of African states, was a miniscule pocket of resistance barely a few square kilometres in size. Colonel Levi O. Nosiri, 72, was at the last battle. "We had no fear, we are Igbo," boasted the old man, who still wears his Biafran army uniform. He was in charge of S Battalion, an infantry brigade. He lost his left eye and his younger brother. "He died under my command...," he said. Owerri fell on January 9, 1970 and with the subsequent surrender, Biafra was wiped off the map. Nosiri and his former brothers-in-arms still want independence from Nigeria, claiming they have been abandoned, despite Gowon's oft-repeated slogan of "no victor, no vanquished". The old soldiers say the government in Abuja has never reconstructed the towns devastated by the war, where the slightest rain causes massive flooding and buildings threaten to collapse. "Our children have no jobs, no hope here," said Nosiri, accompanied by the youngest of his daughters, aged 16. Such a view is fuelling the revival of the separatist calls. "I'm ready to pick up arms," he said, his hand trembling and supporting himself with a stick. "I cannot fight anymore but I can train young people." Sitting next to him, major Marc Okoro nods his head nervously. "No, I don't want them to suffer what I suffered," he says. "I don't want war any more."